Global financial services firm UBS, a leading provider of retail and commercial banking services, released an extensive report on 28th March that weighed in on bitcoin’s potential to disrupt the existing financial system. Entitled ‘Bitcoins and Banks’, the report concluded that bitcoin is not just a ‘problematic currency’ – though this garnered a mention in the headline, but more interestingly, a technology that could bring widespread benefits if co-opted by the traditional banking system. The 31-page write-up suggested that bitcoin, as a currency or an alternative to traditional banking, poses little threat to traditional institutions, but that the underlying technology could be used to improve global payment systems provided the right business incentives could be identified. Though it was careful to describe such hypotheticals as “blue-sky ideas”, the bank noted that the distributed block chain “offers a robust and secure way of storing consumer funds”, and that current issues such as the computational intensity bitcoin requires are merely “quirks” inherent in the first implementations that could later be improved. 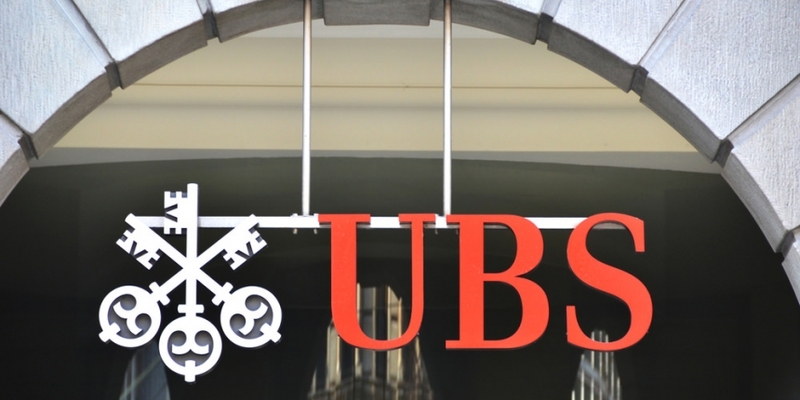 UBS noted that the block chain could just as easily use existing fiat currencies, and that such a system “offers a radical opportunity to drastically reduce duplication in the existing system”. It even went so far as to offer an example of what this reimagined financial system would look like, describing a system whereby banks across the world maintained a ledger that kept track of public addresses and balances. The report found bitcoin the currency most appealing for banks when used as an investment service, similar to an ETF, mentioning specifically the model suggested by the Winklevoss Bitcoin Trust. In these instances, the authors noted that banks would not have to expose themselves to market risk, money laundering or other potential negatives. Bitcoin derivatives, it said, could prove attractive, provided banks were allowed to legally participate in this sector. Further, the report stated that this could help reduce bitcoin’s volatility, while providing banks a source of fee revenue. It seemed to suggested that this avenue would likely be one of the next ways the traditional financial system could look to safely explore alternative currencies and their market implications. UBS suggested that the bigger risk was that a third party set up a “bitcoin-like payment system” that threatens to bring down credit card and money wire fees. The report noted that cross-border transfers take days, whereas with the bitcoin block chain, they can take minutes. Further, it noted that bitcoin the technology has implemented security improvements that traditional service providers would need to adjust to. Banks, it noted, could adapt these advantages of the bitcoin system, but that they may be hesitant to do so as it would cannibalize current revenue. UBS also took on the question of whether bitcoin the currency represents any cost savings for merchants. To tackle this question, it looked at the daily fees paid out to miners as a percentage of transaction volume, noting it has fluctuated over the last 15 months. During this study period, it indicated that the 30-day moving average for these costs was 4%, though this excludes the added 1% fee merchants would need to pay to convert money to fiat. Notably, the report, as many other recent attempts on the subject, doesn’t take into account the services of companies like BitPay and Coinbase which handle such transactions directly; nor did it mention the success being enjoyed by early adopters such as Overstock and TigerDirect. Still, while UBS believes bitcoin the technology is promising, bitcoin the currency was given a thorough critique. In particular, UBS indicated that bitcoin “exists in a regulatory vacuum”, which is damaging to its global trust. UBS indicated that smaller, local banks, particularly in emerging markets and countries with high economic turmoil faced the biggest threat from bitcoin the currency, but that economic turmoil is already a threat to traditional banking services, even without bitcoin. UBS noted that even those who used bitcoin the currency for transactions would likely require banking services such as deposits and lending from traditional outlets. It predicted that in the face of this pressure, either bitcoin would fail, or a bitcoin bank would emerge, which it suggested may be counterintuitive to its goal. Still, the report noted that among certain groups, such as China (with its strict capital controls) and among libertarian thinkers, the bitcoin’s pros could outweigh the cons. Such examples were noted as part of a larger, three-part section that analyzed bitcoin as a store of value, means of exchange and unit of account.